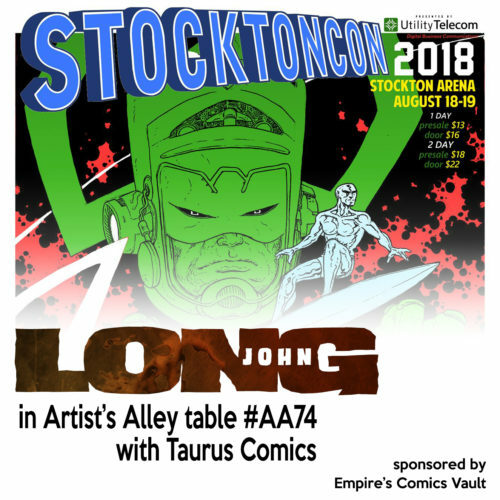 This weekend I had the opportunity to return to StocktonCon––Stockton, California’s popular comics & popular culture convention––for the first time since its inaugural convention in 2012. A lot has changed for the convention and me as a creator since then, but overall it was a warm and welcoming experience. I shared a table with Kyrun Silva from Taurus Comics, a team up sponsored by Ben Schwartz and his local comic shop, Empire’s Comics Vault, and it was a riot of fun, thoughtful conversation, and (of course) capitalism. Our table set up at StocktonCon. Though we’ve only known each other for a couple of years, the friendship and comic camaraderie with Kyrun was immediate and none of that faltered during our two long days stabled next to each other––three feet of the table each. During the weekend we talked about comics, nostalgia, creativity, convention strategies, and made a lot––A LOT––of bad jokes. 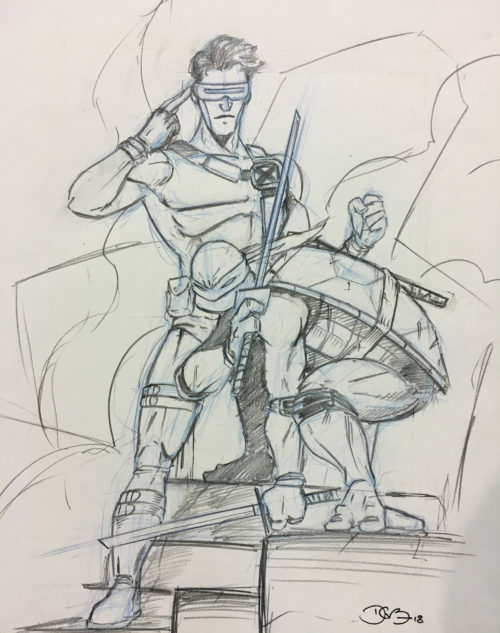 What I have in terms of longevity in the amateur comicking field Kyrun has in tabling at cons and I learned a lot––A LOT––from him this weekend. Honestly, because of his assistance, example, and encouragement, I made probably 75% more sales than I would have relying on my tired tactics. 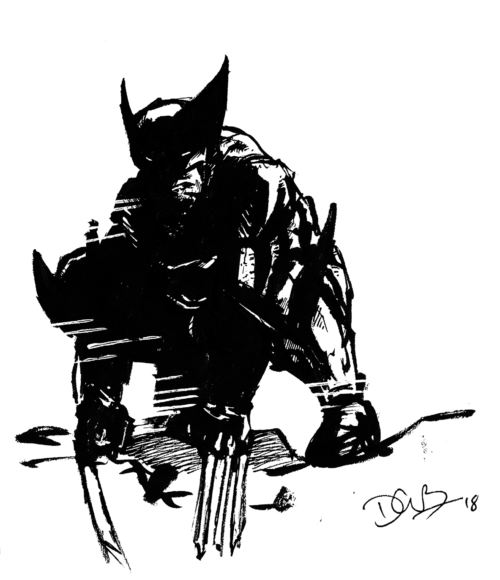 A messy Wolverine drawn on Day 1. Brush pen and whiteout, 2018. An unsuspected and pleasant byproduct of the weekend was being legitimately inspired. In our conversations, Kyrun and I wafted between gleeful nostalgia and sober practicality and talking with him got me to loosen up artistically in the downtime of the show. The unbridled creativity fostered not only by the conversations Kyrun and I were having but also by being in the Artist’s Alley section overwhelmed me on the first day of the show but, by day two, got me to put pen to paper and not care about anything deeper other than having fun drawing and sharing. Tabling with another comic artist, I decided I would demand that he ink a drawing I made, so I did an interpretation based on a drawing from my BackMatter sketchbook that I still dream about: a team-up between the leaders of the X-Men and the Teenage Mutant Ninja Turtles: Cyclops and Leonardo, respectively. The final product turned out wonderfully. 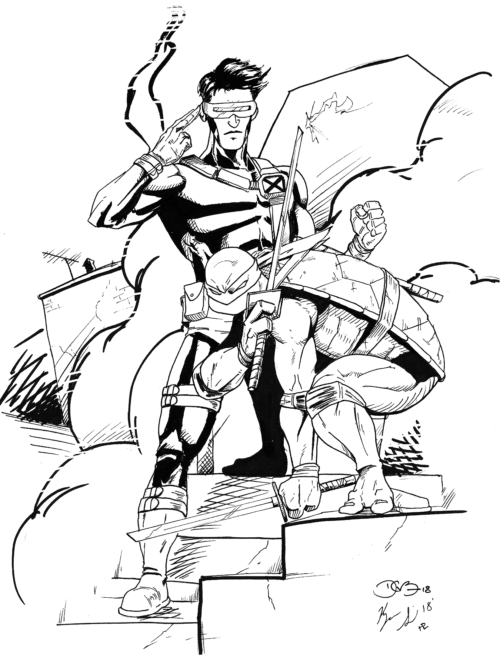 My pencils for the Leo/Cyke team-up drawing before handing it over to Kyrun to ink. It was wild to watch Kyrun ink my drawing. More accurately, it was weird. 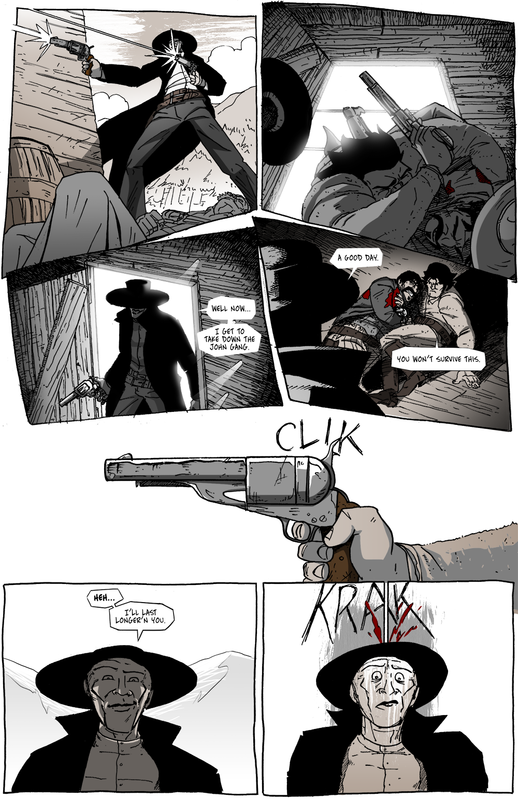 Not bad, but aside from Josh inking the two pages from Chapter 3 I’ve never had anybody ink my work before and it was fascinating watching another artist interpret my lines with their hand. The final drawing, inks by Kyrun Silva of Taurus Comics. 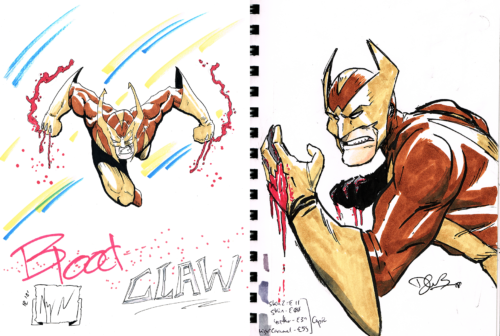 One thing we brought up was the sheer amount of Wolverine clones that cropped up during the ’90s boom, and we accidentally created our own: Blood Claw. As it turns out, there are already plenty of characters named Blood Claw, but the premise was solid. During the second day, Kyrun did an initial design and I followed with my own interpretation. Kyrun’s Blood Claw on the left, my version on the right. Colors by Kyrun Silva. StocktonCon was a blast in more ways than one and, as exhausted and beat I was by the end, I look forward to my next show. I am glad, however, that it is not next weekend.